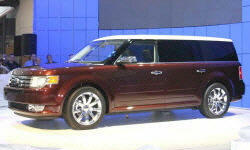 We've been having issues with our 2011 Ford Flex having a dead battery after sitting for 3-4 days without being driven. Replaced battery a couple of times so far, but there appears to be a drain happening when the car is off. Anyone else have similar experiences or found a solution? Our 2010 doesn't have that problem, and we've got 120,000 miles on it. But then again, ours only rarely sits more than 2 days without being driven. I'm just curious, do you have the Sync system with the touch screen? We only have the base Sync system with the text display and dozens of buttons and knobs. Sounds like a real headache. Good luck. There is a procedure to check battery parasitic drain. It has to be done properly to be meaningfull. It involves using a low-reading ammeter inserted between the battery negative post and the removed cable. All doors must be closed, ignition key removed, and a period of time must elapse (ie 20 minutes) to allow modules (Ie transmission, body,etc) to power-down (draw minimal power). The current draw should be ABOUT 0.03 amps. If higher, fuses can then be removed and the effect on the guage noted. A drop in amperage indicates that something in that fused circuit is drawing power when it shouldn't. Example: trunk light, glovebox light, alternator diode, etc. But there is procedure - you can't just remove the battery cable and insert an ammeter. There are detailed procedures with illustrations on the internet. A garage should have experience in doing this.